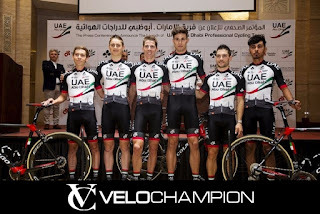 VELOCHAMPION is proud to announce a major sponsorship deal with the new Middle East backed World Tour Cycling Team UAE Abu Dhabi (formerly Lampre-Merida). 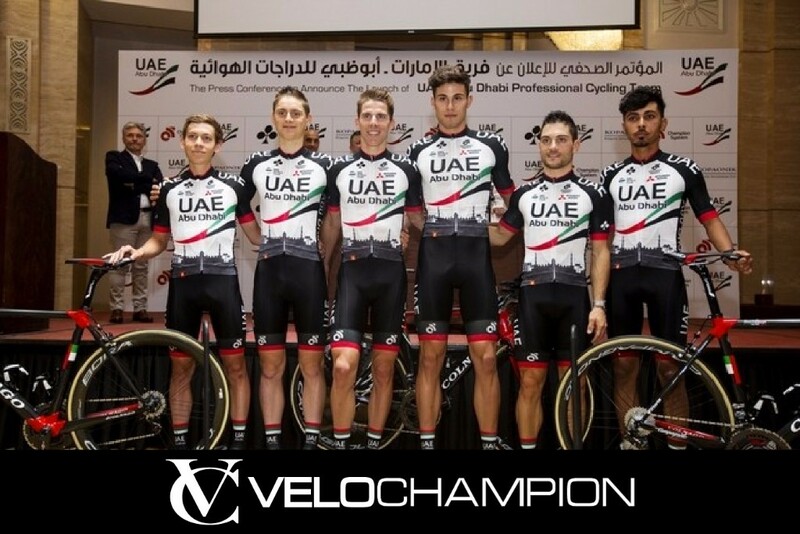 VELOCHAMPION will support the passion and drive of Team UAE Abu Dhabi, by becoming the official eyewear sponsor for 2017. 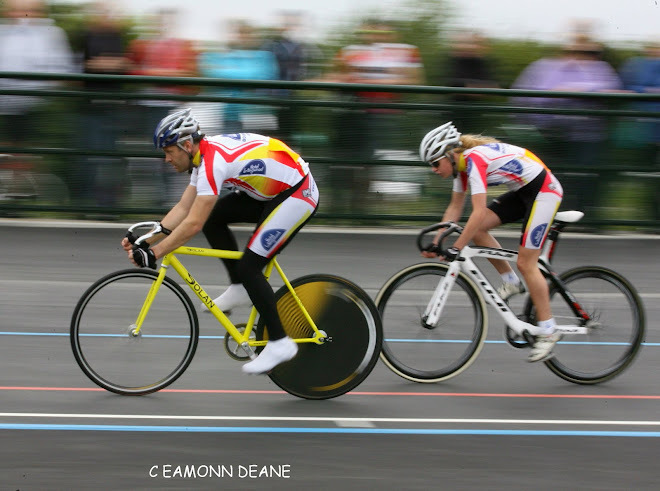 “We are very excited by our sponsorship of a World Tour cycling team “ said owners Ciaran Dunne and Wayne Greenhalgh. “After starting our company from scratch 7 years ago we are now selling cycling products worldwide. We are proud to be a British company now involved at the highest level of the sport we love." 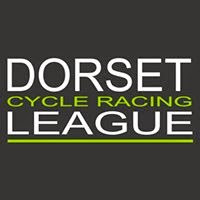 This new team sponsorship combined with other key sponsorship deals worldwide including the Tour of Britain will help showcase our products at the highest level and contribute to the development of new products." 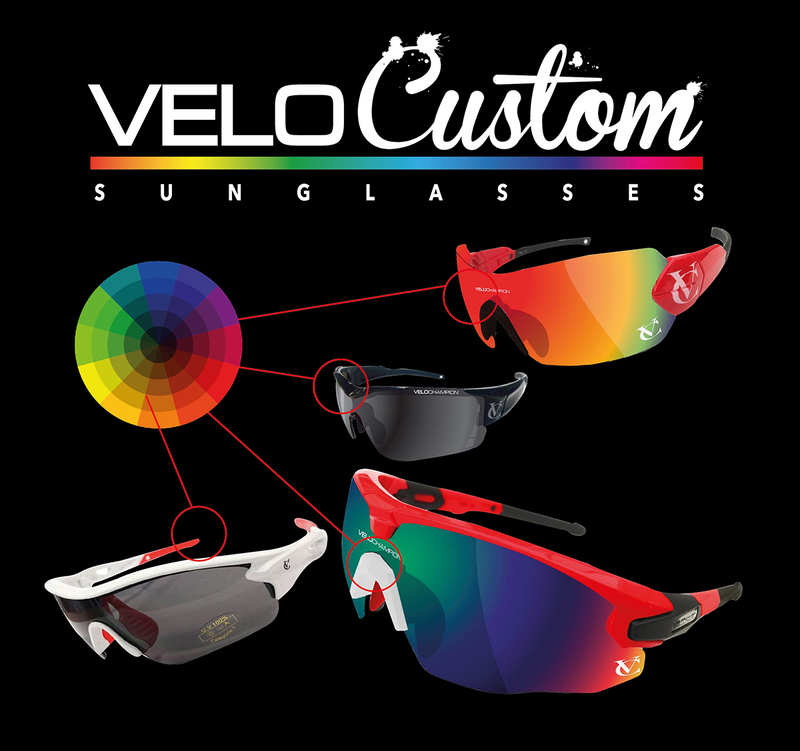 The VELOCHAMPION eyewear collection will be used by everyone on the team which includes riders such as Ben Swift, ex World Champion Rui Costa, Darwin Atapuma, Louis Meintjes, Sacha Modolo, Roberto Ferrari and Diego Ulissi. “I’ve known the VELOCHAMPION Brand for a few years and I was always impressed by the quality and style of their products. They’ve really started to make a big impression in Europe especially in Italy and it was great to get the Brand on board as a sponsor”, commented Team UAE Abu Dhabi Sponsor Consultant Mauro Gianetti. “I’m confident that the quality of the VELOCHAMPION products will help the team to many victories in 2017”. 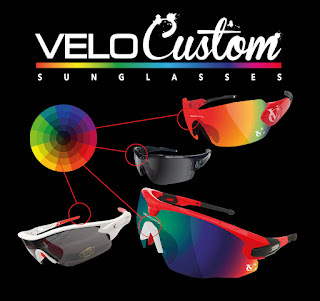 VELOCHAMPION added that they will be offering special promotional ‘Team Edition’ eyewear as part of their ‘VELOCUSTOM’ programme, whereby individuals can choose their sunglasses frame, nose piece and lens colour online, from anywhere in the world. Spokes BPC Racing, Looking to the Future! 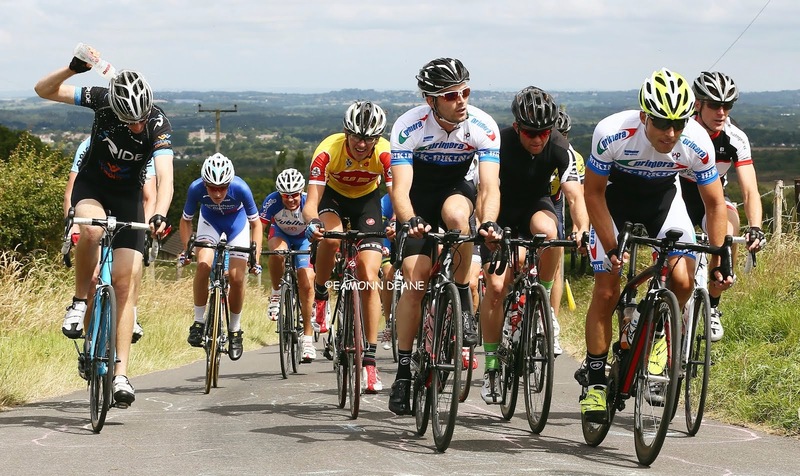 Perfs Pedal Race, Entries Filling Up!